Professor of Software and System Dependability, Professor Robin Bloomfield, has become a Fellow of the prestigious Royal Academy of Engineering (RAE). 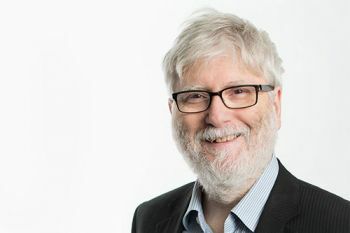 Professor Robin Bloomfield, Professor of Software and System Dependability in the Centre for Software Reliability (CSR) and founding partner of Adelard LLP, has been elected one of 59 new Fellows of the prestigious Royal Academy of Engineering (RAE). In its Fellowship citation, the RAE describes Professor Bloomfield as "distinguished for international leadership in the engineering of safety-critical systems containing software and eminent for his leadership as founding partner of the engineering consultancy Adelard". "Becoming a Fellow of the RAE is a very significant and humbling career achievement. I am of course delighted to be joining new Fellows who have made a substantial contribution to many areas of engineering." Professor Bloomfield's research interests are in the dependability (reliability, safety, security) of computer-based systems. His work in safety in the past 20 years has combined policy formulation, technical consulting and underpinning research. Prior to establishing Adelard, he worked for the UK electricity utility, CEGB, where he was concerned with the design and validation of the control and safety systems of nuclear power stations. He has held a variety of professional and honorary posts. He was an independent member of the UK Nuclear Safety Advisory Group (NUSAC) and was the UK member of NATO Research Task on dual use technologies and co-chaired, for the EU, the 2007 Joint US-EU workshop on ICT-Enabled Critical Infrastructures and Interdependencies. Recently he has been a member of the UK Treasury Engineering Infrastructure and Interdependencies Expert Group that supported the revised UK Infrastructure Plans. In 2012 a talk to the Foresight project on "Meltdown in the markets, a Nuclear Perspective" led to a study with the Bank of England into how the nuclear industry framework for risk evaluation and communication and the approach to computer based systems might inform high systemic risks in the banking sector and the wider economy. This was published in October 2012 and in 2013 he was called to give evidence to the Parliamentary Commission on Banking Standards. The newly elected RAE Fellows are drawn from diverse backgrounds, including leading engineering and manufacturing companies and world-leading academic institutions. Fellows have been invited to join the RAE Fellowship in recognition of their outstanding and continuing contributions to engineering. "Our newly elected Fellows bring an enormous breadth of expertise to the Academy, widening our collective scope and knowledge. I know that they will all make significant contributions to the Academy's activities in their time as Fellows and we look forward to working with them to create benefit for society through engineering." For more information about City's Centre for Software Reliability, please visit this link. Please visit this link to learn more about the RAE.